After winning his fifth term at the helm of FIFA, Sepp Blatter set a defiant tone in his first press conference, blasting the US probe into corruption at football’s world governing body and suggesting there was a US-backed campaign to oust him. Speaking on Saturday in Zurich, Blatter said he was happy to be re-elected despite all the troubles he and FIFA have suffered. He said he was pleased that 133 national football associations trusted him to resolve the problems the organization has been facing and promised to be president of all the FIFA members, including the 73 who voted for the US-backed candidate, Jordanian Prince Ali bin al-Hussein. Asked if he is worried he would be arrested amid the massive investigation, he replied: “Arrested for what?” stressing he had no concerns. 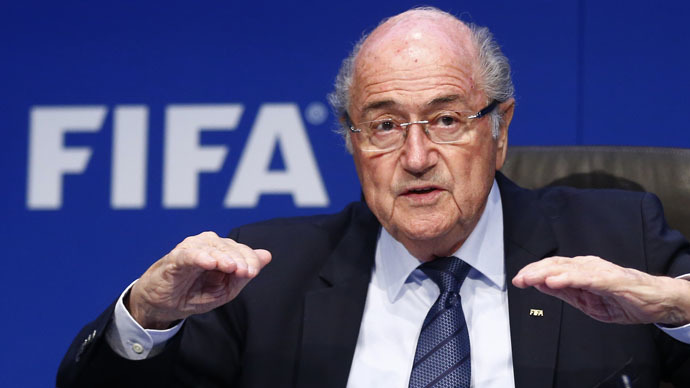 In his first media conference since re-election, Blatter condemned the US corruption probe into the organization. 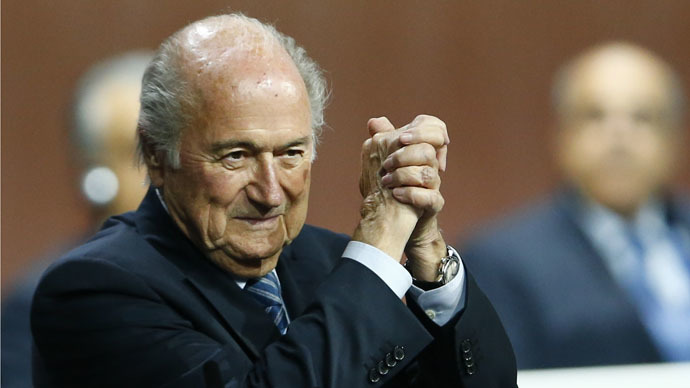 Blatter was skeptical about the US’ role, motive and timing ahead of the re-election vote on Friday. "There are signs that do not lie: Americans were candidates for the World Cup 2022 and they lost. If the Americans have to deal with money or criminal offences which involve northern or South American citizens, they stop them there, but not in Zurich while there's a congress," said the freshly re-elected president. 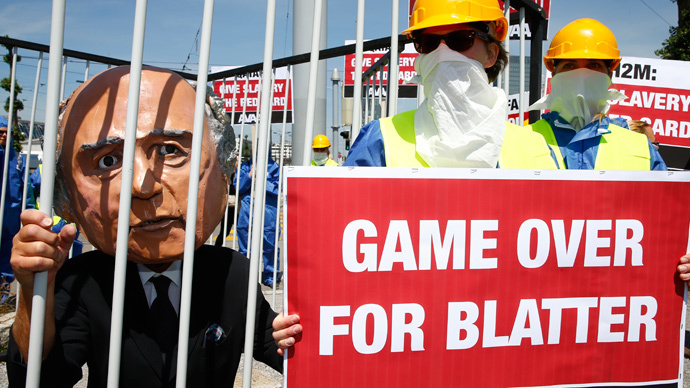 There is no secret that Western media, political and sports figures, have been campaigning against Sepp Blatter and it appears that although he was re-elected on Friday, this campaign against him isn’t over yet. A similar message came from the head of European football, UEFA President Michel Platini, who called for his resignation, saying, "people don't need a president like Blatter." Asked whether he would forgive Platini, Blatter told RTS: "I forgive everyone, but I do not forget." Blatter, however, did call on FIFA and UEFA to work together, particularly to protect the World Cup. "They need FIFA and FIFA needs UEFA," he said. The FIFA president also mentioned the extraordinary pressure on him before Friday’s vote, noting the US is the principle sponsor of Jordan, while a Jordanian prince was Blatter’s solo opponent at the presidential vote. Ever since the scandalous arrests of the FIFA executives on Wednesday, Sepp Blatter has been under unprecedented pressure from top football executives and European politicians, including UK PM David Cameron, who are demanding he gives in without a struggle and gives up his post. 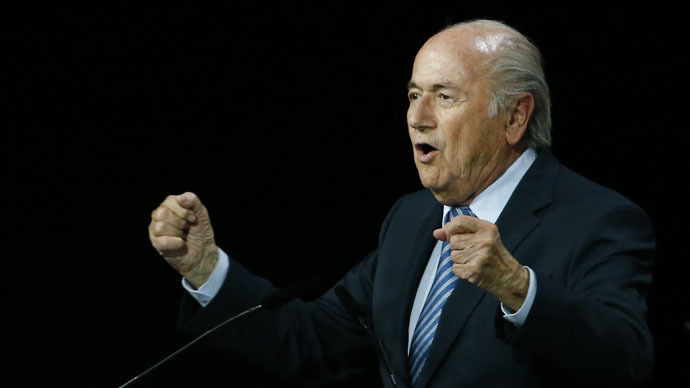 During the vote, Blatter's rival for the presidency was supported by delegates from Europe and the Americas. 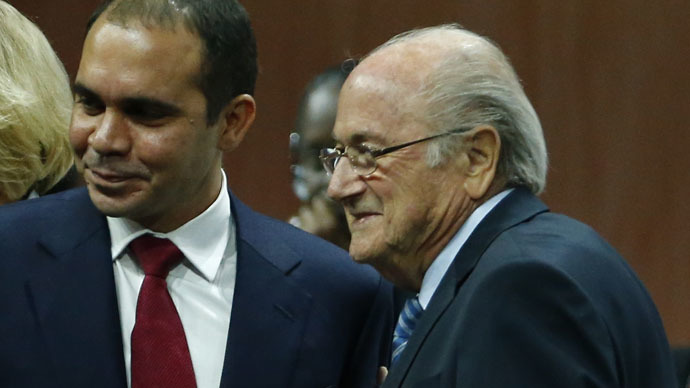 But the long-running FIFA chief enjoyed the firm backing of Africa, Asia, Russia and Oceania. Blatter is popular outside the West because he brought football to the masses worldwide, Talal Badr Al Saud, President at Union Of Arab National Olympic Committees, told journalists. “The game is for the poor, not for the elite. And Mr Blatter brought it to them in Africa, in Asia, and that’s why most of Africa and Asia voted for him,” Al Saud said. 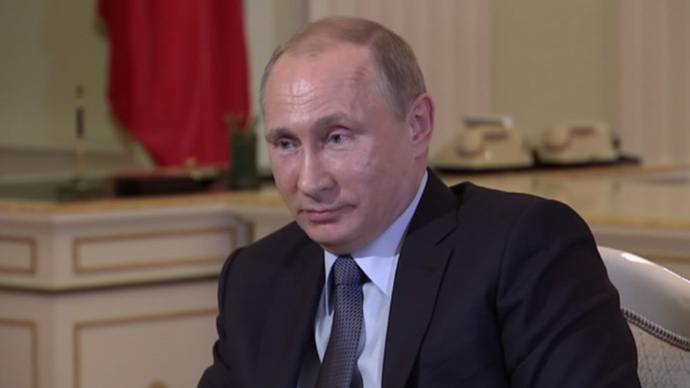 “We don’t like the governments to interfere with sports or federations. We don’t want these governments to control the results or impose on us where the game goes,” Al Saud said.